Michael Aquilina Clews, Vera’s son was the first of the fifth generation to join the Company closely followed by his cousin Robert Aquilina. Both joined the company as teenagers, and Michael’s early experiences were as part of the ship supply team that was responsible for the chandlery supplies for shell tankers based in Malta. Michael was also part of the team responsible for the supplying of the Royal Fleet Auxilary as they were based in Malta; Salvo Grima provided store supplies for the entire troops and crew for the duration of their journey as they headed to Cyprus for training. Since then, Michael Aquilina Clews progressed to Group Executive Director, and today still oversees many of the Group’s activities. Michael retired in January 2012 and looks forward to spending his time with his young grandchildren, entrusting the running of the company to the next generation. Alison specialises in the financial aspect of ship supply and yacht provisioning. 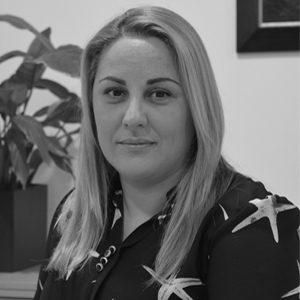 Alison joined Salvo Grima Group as an accounts clerk in 2003, taking on increasingly senior positions within the Accounts Department before being promoted to Finance Manager. Based on her strong professional performance, Alison was awarded Salvo Grima Group sponsorship to further her studies and she successfully completed her ACCA qualification in 2014. Alison also holds a Professional Certificate in Taxation. Karl Aquilina forms part of the sixth generation of the Grima family and has headed the Group since 2016. Karl previously held the post of Group Chief Commercial Officer and has been instrumental in establishing business ventures in Palma de Mallorca and the Netherlands, as well as setting up the Group’s new logistical centre. Karl holds a Bachelor of Science (Honours) degree in business administration from the University of Cardiff, UK. He originally joined Salvo Grima Group in 2003 as a Sales Executive, being promoted to Purchasing Manager in 2005 and subsequently, Senior Manager (Ship Supplies) in 2009. He formed part of the Group Executive Management team as Chief Commercial Officer from 2014 until his promotion to CEO in April 2016. Greta Xuereb has headed the Group’s Marketing, Research and Human Resources department since July 2016, after seven years working in the UK. She previously held the post of Head of European Contracts at University College London, running a portfolio of over 650 EU funded research projects with a budget of Eur. 350 million. Greta holds a Master’s Degree in European Politics, Economics and Law from the University of Malta and an APM Project Management Certificate from University College London. Malcolm Sammut, General Manager for the Ship Supplies section, has over twenty years’ experience working in the shipping sector. Malcolm rejoined the Salvo Grima Group in 2016 after a seven-year period working within the cruise industry in ship management. Malcolm is very customer and quality service oriented and is pivotal in keeping Salvo Grima Ship Supplies well ahead as the local market leader in this sector. Karl Anastasi is the Information System Executive responsible for the group’s corporate management information systems. His role involves identifying and implementing new management information systems whilst providing full support to system users across the Group. Karl, who holds a Master’s degree in Business Administration and International Management from the University of Northumbria in Newcastle, joined Salvo Grima Group in 2001 as a Sales and Purchasing Executive before being promoted to Assistant Commercial Manager in 2007 – Travel Retail and Distribution. With the guidance of the Commercial Manager, Karl used to be responsible for the international travel retail and distribution of the Group. He also managed the duty-free distribution of tobacco in Malta and North Africa. Karl re-joined the Salvo Grima Group in 2016 after an eight-year period working within the fashion retail industry. 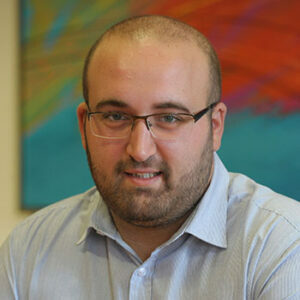 James Galea Testaferrata runs the Group’s Estate Management department which he was instrumental in setting up. James has been with Salvo Grima over 30 years and has been crucial for much of the Group’s expansion. James is one of the longest serving employees of the group and has held several sales-related positions in the ship and yacht supply divisions. As Head of Operations specialising in travel retail, Jennifer Sammut Zammit manages the supply of clothing, skincare, makeup, perfumes and cigarettes for our outlets in Malta and Spain. Jennifer is also responsible for the promotion of Salvo Grima’s Travel Retail Services abroad, and handles negotiations with partners, suppliers and associates, constantly expanding and adapting the products offered from the travel retail channel. 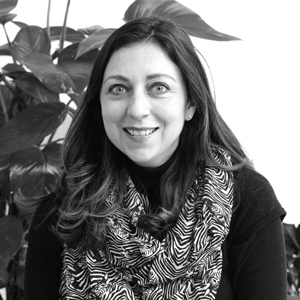 Originally from Canada, Jennifer Sammut Zammit joined Salvo Grima Group in 2001 as a personal assistant, before taking up several different roles within the Group. 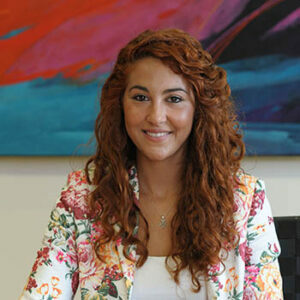 She now manages a busy team of ten sales representatives at several outlets in Malta and overseas. Andrew Azzopardi manages No12 Fine Wines and Provisions – An international fine wine provisions company supplying Super-yachts all across the Mediterranean. Andrew first joined Salvo Grima in a Business Development role. His most recent project is No12 Fine wines and Provisions – An international fine wine provisions company with offices in Mallorca and Malta, but supplying Super-yachts all across the Mediterranean. Andrew has experience in Hospitality, Business Development, Event Management and Marketing. Keith Spiteri has been Salvo Grima Group’s Category Manager for tobacco products since 2015, building on years of experience in international travel retail and distribution. Keith oversees the duty-free distribution of tobacco in Malta and North Africa and handles the local distribution of BAT products in Malta, whilst assisting in Group ventures both locally and abroad. 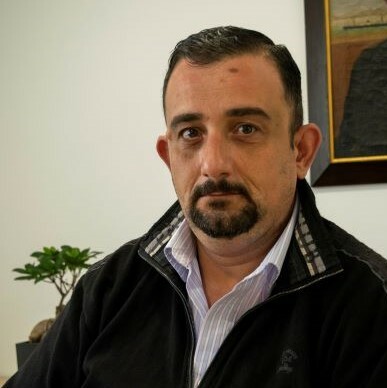 Keith, who holds a Bachelor of Arts (Honours) degree in International Relations from the University of Malta, joined Salvo Grima Group in 2008 as Administration and Purchasing Assistant before being promoted to Category Executive in 2011. Etienne Grech manages the Salvo Grima Group’s logistics and warehouse staff to ensure that the Group’s logistics centre is running smoothly and that orders are delivered punctually, meeting clients’ strictest requirements. Etienne previously held the post of Supervisor and, subsequently, Manager in the Logistics Department after fifteen years working with Salvo Grima Freeport Operations. He originally started his career in the Freight Forwarding Department, where he gained valuable experience in customs clearances, warehousing, documentation and logistics coordination. As Head of Business Development, Andrew Camilleri is responsible for strengthening Salvo Grima Group’s newest subsidiary, Vladex BV. Andrew previously held the post of Head of Sales in charge of Salvo Grima Group’s Ship and Super Yacht Supply sales. Andrew joined the Group in 2006 as a sales representative, being promoted to Sales Manager in 2012. As Sales Manager, Andrew was responsible for overseeing sales-related operations ranging from customer relationship management to business development. Ryan Mizzi is responsible for heading the Group’s over-all procurement as well as strategic purchasing from local and foreign suppliers worldwide. Ryan also oversees the Group’s ISO certification and warehousing standards. Ryan has over nine years’ experience working in the shipping sales and procurement industry in Malta and, more recently, the Netherlands. He joined Salvo Grima in 2007. 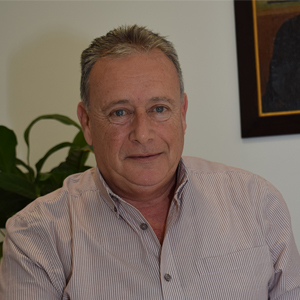 Clyde Micallef is the General Manager responsible for Vladex BV and Travel Retail as well as being a member of the Salvo Grima Group Executive Team. Clyde previously held the posts of Finance Manager, Group Commercial Manager and Senior Manager – Travel Retail and Distribution. Clyde originally joined the Group in 1996. Josianne forms part of the Group senior management team, heading the Group’s accounting function with particular responsibilities for associate companies. 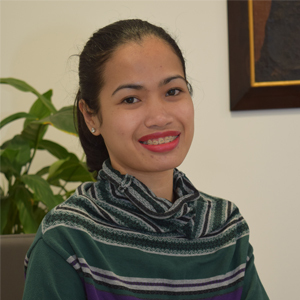 Josianne has been employed with Salvo Grima Group since 2006 and today is the Group’s senior accountant. Mr Karl Aquilina, holds a Bachelor of Science degree from the University of Cardiff, and has formed part of the Group Executive Management team as Chief Commercial Officer since 2014. He has been instrumental in setting up business ventures in Palma de Mallorca and the Netherlands, as well as strengthening the Group’s super yacht industry services and setting up the Group’s new logistical centre. Mr Vincent Borg Carbott joined the family firm of Salvo Grima in 1980 as Executive Director, taking over from his wife Ilona (nee Naudi), who was an Executive Director from 1974 until 1980. Vincent Borg Carbott has been Director on the Board of Salvo Grima Group of Companies since joining the firm in 1980, where he was for many years responsible for Accounts and International Trade. He previously worked as a Manager at Bank of Valletta Ltd (previously National Bank of Malta) from 1967 until 1980, where he specialised in Documentary Credits and Finance of Foreign Trade. During this period, he was also seconded to Midland Bank Ltd in London. Ian Camilleri joined Salvo Grima as Group Financial Controller in 1992, following a 15 year career in accountancy and financial services. He heads a dedicated and professional finance team and his responsibilities extend to all corporate matters including compliance, IT and HR. In 2009 Ian was appointed to the Board of Directors and is the only non-family member serving Salvo Grima thereon. Mr. Robert C. Aquilina joined Salvo Grima back in 1973, before being appointed a Director in 1974. This was followed by his appointment as Managing Director in 1998. Robert C. Aquilina has been the Chairman since 2003 and CEO between 2003 and 2016. Robert C. Aquilina has also been an Executive Director of: Unipol Holdings Ltd since 2000, Travel Shopping Ltd since 2002, Top Three International Ltd since 2007, Top Three Overseas Ltd since 2007, Travel Stores Ltd since 2008 and Nordic Offshore Services A/S Denmark (NOS) since 2009. Previously Mr. Robert C. Aquilina has also held the following directorships in Public Interest Entities and a PLC: Chairman Malta Shipyards Ltd 2008 – 2011, Chairman Ricasoli Tank Cleaning Ltd 2011 – 2013, Director Enemalta Corporation 1995 – 1996, Director Malta Resource Authority 2001 – 2004 and Director Valletta Cruise Port 2000 – 2013. In his capacity as CEO of the Salvo Grima Group, Robert C. Aquilina was a member of: The Malta Chamber of Commerce since 1983, International Marine Purchasing Association (IMPA). He was also a Council member for 10 years and a Senior Vice President for another 5, International Ship Suppliers Association (ISSA), Tax Free World Association (TFWA), Marine Hotel Association (MHA), International Federation of Freight Forwarders Association (FIATA). Joseph joined Salvo Grima Group as purchasing executive in 2016 after building up years of experience within the manufacturing industry and financial sector. He previously held the post of purchasing officer at Maltapost plc and holds a Diploma in Management Studies. Hubert joined Salvo Grima Group in 2016 after several years working in purchasing, during which he developed the ability to identify competitive suppliers and negotiate the best value and quality of purchased items. He previously held the post of Purchasing Specialist with US company Baxter Limited where he was responsible for purchasing medical and hospital materials and spare parts. Hubert holds a Diploma in Purchasing and Resourcing Management awarded by Cambridge International College. 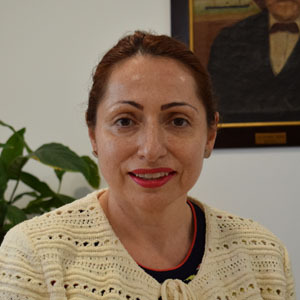 Claudette has several years’ experience in the shipping and Freeport industry and first joined Salvo Grima Group in 1993. She has since held a number of positions across the Group, specialising in purchasing and ship supplies. Christine has a professional background in catering and accounts apart from purchasing, which has helped her build practical knowledge of the products requested by clients on a day-to-day basis, both for ships and luxury super-yachts. 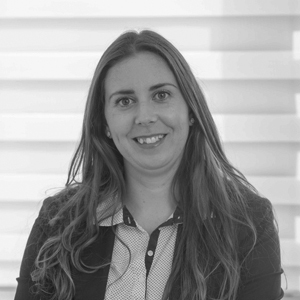 She first joined Salvo Grima Group in 2010, before specialising in procurement in 2014, and enjoys ensuring that clients obtain good quality and service from their initial request for quotations through to delivery and follow-up. Christine is currently studying for a Diploma in Procurement and Supply and describes herself as positive, outgoing and customer-oriented with a passion for sports and fine art. 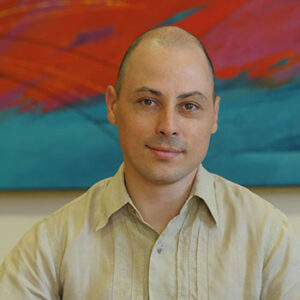 Ray joined Salvo Grima Group in 2007 after several years working in the technical procurement sector. He previously held the post of Senior Procurement Officer at ST Microelectronics (Malta) Limited, where he specialised in various aspects of purchasing. Apart from valuable experience in shipping and technical supplies, Ray holds an International Diploma in Purchasing & Resourcing Management (2006), awarded with Distinction and an International Diploma – Stores Management & Stock Control (2007), awarded with Merit. Malcolm Sammut, General Manager for the Ship Supplies section, has over twenty years’ experience working in the shipping sector. Malcolm re-joined the Salvo Grima Group in 2016 after a seven-year period working within the cruise industry in ship management. Malcolm is very customer and quality service oriented and is pivotal in keeping Salvo Grima Ship Supplies well ahead as the local market leader in this sector.